Are you spending sleepless nights due to insomnia, anxiety, stress, post-traumatic stress disorder (PTSD) or other related health issues? Perhaps you have tried other remedies including medications and behavioural therapy, but they seem not to work. 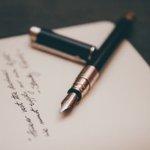 Are you in the brink of giving up? What if we told you we have the right, most effective solution for you? Why is Quility the Highest Quality Weighted Blanket for You? Quility has positioned itself as one of the leading brands to develop a weighted blanket that will give you improved sleep, reduced stress, and enhanced feelings of vitality, relaxation, and peace of mind. In this detailed Quility weighted blanket review, we are going to tell you all you need to know about the blanket and the many benefits of using it. Quility is a USA-based family company that has spent decades researching and developing an all-natural weighted blanket that may help people suffering from stress-related disorders sleep better. This is a type of blanket filled with materials such as polly pellets, silica sand, or glass beads to give them more weight than ordinary blankets. They weigh anywhere from 7-30 lbs. Quility is the leading company in the world when it comes to producing premium quality weighted blankets for both children and adults. It may also gladden your heart to know that Quility is the first company in the world to deliver weighted blankets in mass production. First, thousands of customers can attest to the quality and performance of these blankets. A majority of them report lower stress, improved sleep, increased feeling of relaxation, serenity, wakefulness, and peace of mind. When you use the blanket, you’ll get the experience of a big, warm hug. This will keep you warm, secure and cozy. The blanket uses the so-called “Deep Touch Pressure” stimulation. There is scientific proof that the application of gentle pressure across the body can reduce the symptoms associated with PTSD, insomnia, anxiety, some forms of autism and stress. So, in case you or your loved one is suffering from one or a combination of these conditions or any other health-related condition, this weighted bedding is for you. Perhaps you have come across or even tried to use other weighted blankets. The problem is that you did not get the experience the manufacturers promised or you expected. 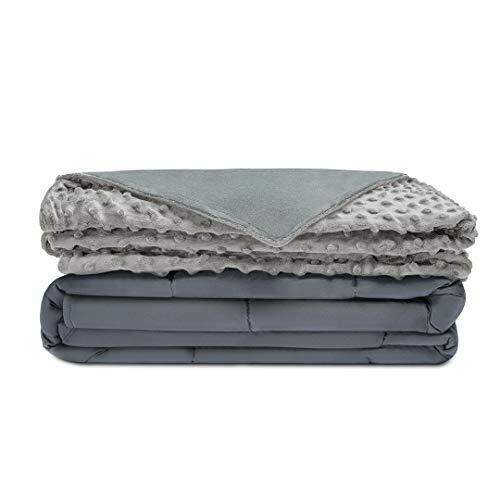 We can tell you for sure that Quility weighted blankets are very different. Most brands of weighted blankets use silica sand or polly pellets which tend to be noisy and sometimes leak prone. Quility weighted blanket uses glass beads sewn into large pockets that lay flat on the bed. Glass beads are hypoallergenic, odorless, toxin-free and lead-free. But that’s just one layer out of seven. 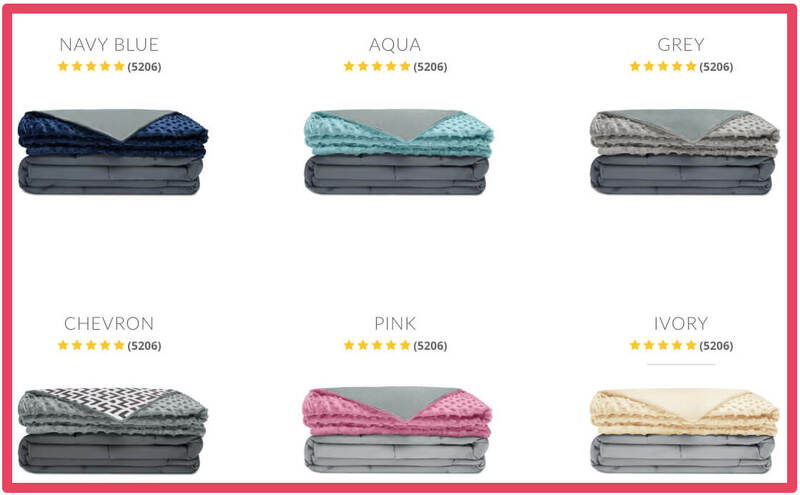 The seven layers of the blanket offer you premium comfort while sleeping or just relaxing. There is an outer layer that features 100 percent breathable cotton underlined with polyester (non-glue) padding as well as 2 more layers of polyester. The two polyester layers have high tensile strength and will resist tears and therefore prevent the leakage of the weighting material. This unique and extraordinary design means maximum temperature regulation and guarantees you a long lasting service from the blanket. Sewing technology is a significant determinant of the durability of any weighted blanket. Quility uses a new, state-of-the-art sewing technology that is crucial to the long-lasting, robust weighted blanket. If you buy the blanket, you’ll also get a premium quality minky duvet from the same company. You’ll need to tie the duvet to the loops on the edges of the blanket via a string before you zip to ensure it stays in place and does not slide as you enjoy a deep nap. The cover is soft-to-the-touch and super comfortable. The textured side of the cover is very cozy to touch. Use the duvet during winter for additional warmth and remove it during summer to keep cool. Removing the duvet is a breeze, just open the zipper then untie the strings that tie it to the edges of the blanket. What’s more, you’ll save a lot of money you’d otherwise need to buy a separate cover if you were to purchase a weighted blanket that’s not from Quility. Weighted blankets carry a lot of weight. It’s therefore crucial that you choose the appropriate size and weight for optimal experience and to enjoy the full benefits of the blanket. Quility recommends that you buy a blanket that is 10-12 percent of your weight + 1lb for singles (or 12-14 percent + 1lb for couples). If you do the calculation and the weight falls somewhere between two weights, then the recommendation is to work with the lighter option. For couples, the right weight should be 12-14 percent of the lighter individual. Math can be complicated at times, so we do not expect you to calculate. Quility has user-friendly charts that will let you pick the suitable size or you. You can check the same on Amazon. When it comes to size, the blankets are available in four different sizes depending on the size of the bed. The available sizes are 36 by 48 inches for single size bed, 41 by 60 inches for a twin bed, 48 by 72 inches for a twin bed, and 60 by 80 inches for a full-size bed. Two sizes are also available for couples – 86 by 92 inches for a queen bed and king bed. For your knowledge, there are different blankets for kids and adults. Kindly buy accordingly. Most of us love it when bedclothes match our bedroom décor. Quility understands this too well. So they have included all possible color combinations that most people use in their bedrooms. The blanket may be a different color from the cover. 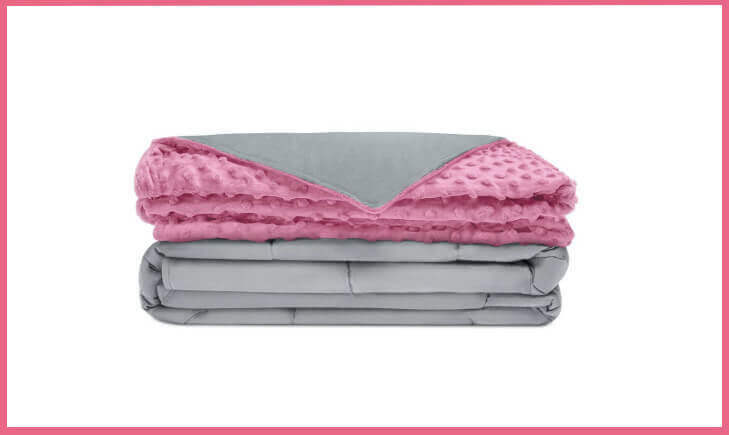 For instance, there is a grey cotton blanket with pink Minky cover. Who can resist such a color combination? The other colors for the cotton cover are grey, navy blue, ivory, and aqua. The choice is yours. The standard colors of the minky cover include Grey, Aqua, Navy blue, Chevron, Pink and Ivory among others. You have the opportunity to specify the hue you desire when you are ordering. You can be sure to get what you order. Some people may not care about packaging, but the one that comes with this top-rated weighted blanket is different. First, the packaging is straightforward but elegant. It’s a clear polyethylene zipper bag with a sturdy carrying handle. What we like about the packaging is the lack of extraneous material around it, only a standard box. Don’t use a sharp object like a razor blade to open the polly bag. You can still use the sturdy zipper bag in future as storage for other items. Another reason you should buy this weighted covering is the quality of customer service of the brand. According to the company and experience of customers who have a chance to use the blanket, it will take seven days to get used to its weight. If you aren’t happy with the blanket for any reason after seven days have elapsed, Quility will be pleased to give you a full refund of your money – no hold-backs or questions. And if you have questions, call the customer care at 1-(888)-972-9506 at any time. Alternatively, you can shoot them a message using their contact form or email 24-hours a day. Friendly customer care will respond to your messages within 24 hours. You won’t find it difficult to care for your blanket. All it requires is a wash when you feel it’s dirty. Hand-wash or dry clean the inner blanket. You can hang it on a line to dry or just place it on a flat surface. It will still dry. Do not tumble dry or you’ll damage it. As for the duvet cover, hand or machine wash it but do not use a bleaching agent. As with the inner blanket, do not tumble dry. We have researched and read hundreds of customer reviews. We have failed to find any disadvantage that’s worth worrying about concerning this product. The only thing close to a demerit is its cost which some say is a little bit high. Well, you need to understand that Quility Weighted blanket is premium quality and it guarantees your satisfaction. Besides, it comes with a cover or duvet which can be expensive if you buy separately as common with the cheaper brands. After all, you only get what you can afford. We hope that this detailed review would have helped you gain the right info about the Quility weighted blankets. Its benefits in relieving restlessness and sleeplessness associated with insomnia, PTSD, anxiety, stress, depression and other emotional disorders have been scientifically proved. In a world where everyone is stuck in a vicious circle of living a fast paced life, weighted blankets would surely help you get off some stress and anxiety. Quility being there on the top of the list, we do recommend that you buy the blanket and experience a life free from stress, anxiety and low self esteem. Make sure to share this post with your friends who you see would benefit from it. We have done our part by sharing the genuine review with you. Do share your thoughts in the comments section below. We would be happy to help you clear any doubts which you may have regarding the blanket. Quility is a recognised name in the market when it comes to manufacturing top quality weighted blankets which offer therapeutic advantage. In our review, we have found the brand to deliver a really good product for both kids and adults. These weighted blankets have been proven to help individuals managing stress, anxiety, insomnia and PTSD. Why wait? Check more details of the product on Amazon.